Both Council's will assess applications based on local priorities which are shown in the table below. In addition, applications are based on local and/or village connections. a. Residency Qualification Resident in the Council area for at least 2 years continuous at the time of application. b. Employment An applicant may be a qualifying person if he/she or his/her partner is in employment in the borough/district. Other special circumstances which create a link to the given parish (not including resident in a hospital, armed forces accommodation, holiday let, or prison) such special circumstances having first been verified and approved by the borough/district Council. 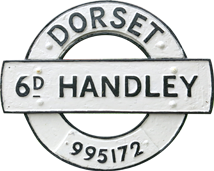 Note: For the purposes of Sixpenny Handley CLT a band 5 'Village Connection' applicant will usually take priority over a band 1 applicant with no village connection. Serious housing conditions Overcrowding – lack of one or more bedrooms Hard to let applicants – normally sheltered bedsit accommodation. Christchurch Borough Council and East Dorset District Council joint allocation policy. December 2013 amended September 2014. SHCLT will be arranging for EDDC and Synergy to hold a session at the Parish Council Office (date and time yet to be agreed – but what this space) to assist anyone interested in the CLT Affordable Homes and/or local people requiring help in registering on the Housing List, filling in forms, eligibility requirements etc. Please let us know if you are interested in attending by emailing jenny@sixpennyhandleyclt.org.uk. Please note: It is the Applicants' responsibility to ensure they are eligible to claim Housing Benefit if they need it to enable affordability of either Social or Affordable Housing. Basic principle of affordability is rent is no more than 35% of gross income. It is likely that someone moving from existing affordable housing in the village to one of the new homes will find that the rents are higher. This is because of a change (in 2010) in the way rents are set. However, it is likely, but not guaranteed, that this increase in rent would be met by Housing Benefit (if they are entitled to Housing Benefit). There is an upper limit to the weekly rents that can be set – known as the Local Housing Allowance. This is also the maximum that can be paid by Housing Benefit. Anyone earning more than five times this rate is prohibited form registering from the homes. The scheme will be administered via South West Homes where applicants are assessed individually. Applicants needs to register with Dorset Home Choice, they will then be referred to South West Homes for assessment. Basic rules are applicants must be earning less than £60k joint income per annum and have a Local Connection. If you have any queries or questions please do contact us.